When my six kids, Hannah, Jake, the triplets (Rachael, Sarah, and Eliza) and Micah, were young, in between schlepping and feeding and generally caring for a half-dozen energetic, occasionally ornery, wildly imaginative little humans, I baked cookies. In fact, I baked their favorite chocolate chip cookies every single day, tweaking the recipe until I got it just right. Through sweet trial and error, I found I had a legend on my hands. Neighbors (I’m talking adult neighbors) would steal into our kitchen by the back door and nab one or two or, in a particularly memorable case, a handful. My mother had my father on a strict diet but he never lost an ounce. Why? Because daily, he would stop by our house -under the pretense of “checking in”- and swipe two cookies. One he ate on the spot and the other he’d stick in the pocket of his khakis. The butter and chocolate stains were not lost on my mom, but the lure of freshly-baked chocolate chip cookies proved impossible to resist. After a while, she started giving him little plastic bags. Originally Jake’s favorite way to eat my cookies was in dough form, which was an open invitation to salmonella but a risk he was willing to take. Now, he prefers them baked, heated in the microwave for 16 seconds so the chips melt just a little, with a tall glass of cold milk. 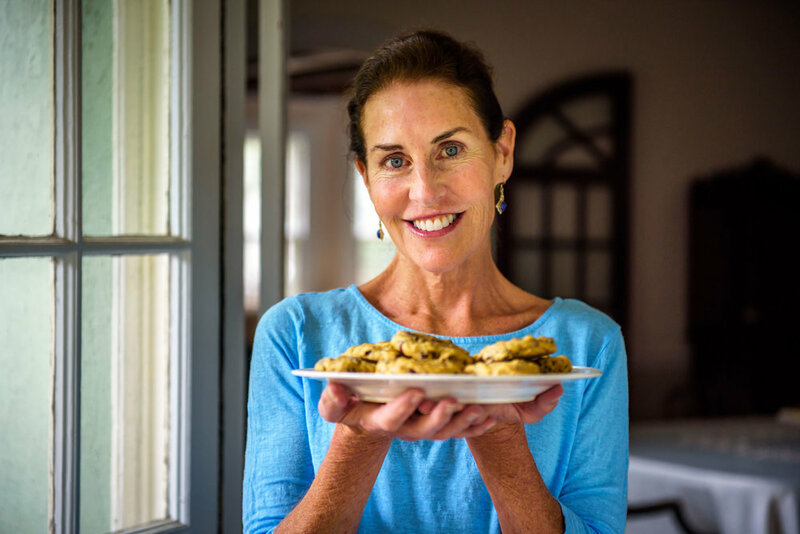 This is the history, these are some anecdotes, but the overarching theme of Jake’s Mom’s Cookies story is love and family and making the people you love happy, every single day. To that end, cookie lovers, enjoy!